On the Friday evening before the June 2017 United Kingdom General Election, a special edition of the BBC’s political debate show Question Time was broadcast in which Theresa May, the leader of the Conservative Party, and Jeremy Corbyn, who we’ve met already, were invited to York to answer questions from a curated studio audience. Because May had refused a head-to-head debate, the would-be prime ministers spoke separately, and Corbyn found himself on second. May had already endured a vexing time, being forcefully challenged over Conservative cuts, particularly to the NHS, and a related public-sector pay-freeze in a way she clearly found difficult to parry. As the audience had been handpicked for balance’s sake, it was clear that Corbyn would have to endure a similar temperature of scrutiny, but the themes of his interrogation were pointedly different. By lunchtime the following day, the image of those who took Corbyn to task had imposed itself on the consciousness of not only many on the British left, but on the public at large. Nine audience members’ faces had been screen-grabbed and corralled in a composite image, swiftly circulated on Twitter, Facebook and beyond, which was designed to demonstrate the uniformity of the debate’s conservative counterforce. The youngest of the nine was perhaps in his mid-forties, the oldest slightly shy of eighty; all were men, all white, if also, typically, irately puce. All, moreover, spoke with Yorkshire accents of at least some degree of unimpressed bluffness as they attacked the Labour leader over his perceived sympathies for terrorists and, most strikingly, his reluctance to employ Trident, Britain’s submarine-based nuclear deterrent. At one point, the intensity of the accusations about Corbyn’s unwillingness to “press the red button” hit such an elevated pitch of ridiculousness that a young woman in the audience was moved to enquire as to “why everyone in this room seems so obsessed with killing millions of people”. That what she had to say needed to be said in the first place was a striking indictment of a journalistic class that had, over the course of Corbyn’s leadership up to that point, become creepily besotted with Trident, despite a widespread lack of understanding about what nuclear “deterrence” actually entails, which means many believe nuclear weapons offer some kind of insurance against stateless terrorist groups like ISIS (its job, for what it’s worth, is to dissuade other nuclear-armed states from launching a first attack). Ruddy, jingoistic old men with vowels flatter than the River Humber’s flood plain are not uncommon in the middle of Yorkshire, but they’re hardly the picture of British demographic averageness in 2017. 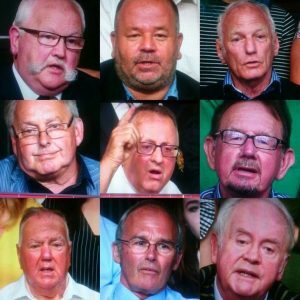 Perhaps diversity can sometimes be a tough ask when the programme always draws its studio audience from the vicinity of that week’s filming location, but, with only a single episode of Question Time in the lead-up to the election, the presence of such a visibly homogenous opposition to Corbyn looked suspiciously like an attempt to manufacture a conception of the “average” or “commonplace”. A previous media event in Cambridge, where the leaders of various parties had been quizzed, but which May had failed to attend, was attacked by the Tory press for being untypically right-on, for not speaking for what the notorious UKIP politician Godfrey Bloom once called “the real people in the rugby and cricket clubs” while attempting to normalise a racist joke he’d made. The York broadcast, some speculated, was in part an attempt to redress the balance by a BBC fighting against licence-fee-threatening allegations of left-wing favouritism, and it was in keeping with a recent trend on the part of the national broadcaster to overcompensate in the face of such criticisms by giving a share of airtime to the right-wing likes of Nigel Farage incommensurate with their real electoral (un)success. Let’s hold this incident to the light a little longer. Put starkly, the BBC, aware that May would be in the line of fire for austerity, chose to counterweigh a progressive argument against the economic immiseration of millions, against cuts to public services and welfare that by any reasonable assessment are ruining and even ending lives, by cultivating an anti-Corbyn bloc in the studio, which would assail him on the grounds of his queasiness about “killing millions of people” in a totally hypothetical conflict. How could such a transparently specious criticism be made to resemble anything like common sense? If the argument had been articulated by someone who looked and sounded like the average BBC political journalist — that’s to say, by a privately schooled mandarin like Nick Robinson or Laura Kuenssberg — wouldn’t it come across as nothing more than sophistry employed, disingenuously, in the service of equilibrium? How could liberal “objectivity” preserve its own fading credibility? The point here is that the full architecture of authentocracy cannot be grasped merely by looking at the cluster of wound-up men in the Question Time studio audience in isolation. In fact, this structure is as dependent on a strange act of centrist othering of “authentic” people as it is on local-boys-made-Tory chomping at the bit to get on national television and eviscerate a lily-livered socialist. As such, it’s even possible to suggest that there isn’t really such a thing as “an authentocrat” in the singular, for the whole phenomenon owes as much to the PPE grad who works in audience selection as it does to the people they nd to compose it. Not desiring, however, to be too obtuse, it’s worth looking initially at the more immediately apparent side of the bargain, namely the figure of the regional, provincial or otherwise “marginalised” reactionary who uses a relatively, perhaps even spuriously, humble origin to lend weight to political truth-claims. 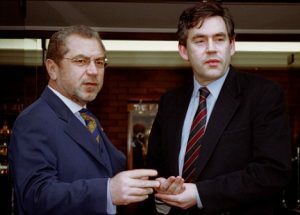 Curiously, in light of what I’ve just said about the sensibility being more reliant on liberal “elites” than initially appears to be the case, one of the greatest satirical intuitions of something approaching authentocracy came from an enduring and much-loved cultural totem of liberal Britain. Monty Python’s Four Yorkshiremen sketch, originally aired on John Cleese and Graham Chapman’s earlier vehicle The 1948 Show, depicts a group of businessmen from Yorkshire sat around necking pricey claret, having just consumed a “passable risotto”, while becoming increasingly extreme in their absurd one-downmanship. By the end of the routine, the friends’ claims include having once “lived in an old water tank on a rubbish tip” and having been sliced “in two wit’ bread knife” by a parent. The conversation is punctuated unfailingly with stage Yorkshire, “ayes” and “lads” and “nobbuts”, further signalling how the performance might be read as a useful critique of how economic power is, in a country as class-obsessed, class-stratified and class-muddled as Britain, often justified with reference to one’s origins. To focus, though, on the manner in which working- class individuals who have been “successful” according to the narrow schema of entrepreneurial ideology are used to corroborate that ideology doesn’t quite tell the whole story. Pointedly, the Question Time audience members who sought to excoriate Corbyn weren’t doing so, in the main, on the grounds of economic philosophy, but because of his pacifism. If the Nine Yorkshiremen were there as emissaries of briny common sense, it was a common sense whose remit extended beyond obviously financial terrain in order to go somewhere more amorphously cultural and affective. Here, pacifism was rendered as an effete, woolly-minded indulgence opposed specifically to the rough-hewn patriotism of hard-working Britons — a value championed by trust-funded dreamers who’d, as the saying goes, never done a day’s work in their lives. In a deft, unfortunately widespread superimposition, something which should have been seen for what it was — inanely bellicose nationalism — became identifed with hard graft; a love of country that demands effort and sacrifice and, consequently, is noble. It is unlikely that North Korea, which is not that much bigger than Scotland, desperately poor, and over five thousand miles away, or Iran, completely lacking in any imaginable incentive, will ever, to use the exact verb thrown down by one of Corbyn’s Question Time critics, “bomb” the United Kingdom with a nuclear weapon. At the very best, such a belief smacks of delusions of an ongoing global centrality lost, in truth, with the Empire. Yet to question the likelihood of such an occurrence as presented by such a blowhard, in the dynamics of authentocracy, is to betray one’s untrustworthiness according to an economy of truth in which rightness is not immanent in a claim but is instead supported with reference to personal origins. Rather than an ad hominem attack, it’s an ad hominem defence. I suspect many of us have an anecdote in which such a perverse algebra can be observed at work. 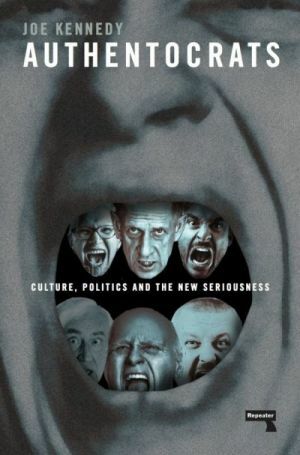 Authentocrats: Culture, Politics and the New Seriousness is published on 21st June.